TransAm makes it a priority to have dependable and experienced drivers as leaders in our mentor program. That is why we are especially proud to announce our Mentor of the Month: Von Clarke. Von has been an outstanding member of TransAm’s mentoring program. He has not only been a reliable resource to new drivers but also a positive influence among his driver community. “You can really tell Von is dedicated as a mentor. He always makes sure that his mentees start their driving career with all the knowledge and tools they need to be safe and successful drivers,” Michelle Telke, Manager of Training & Development said. A team is only as strong as its individual members and Von has truly become an irreplaceable part of our mentor program. Thank you Von, for everything you do to make our mentoring program great! 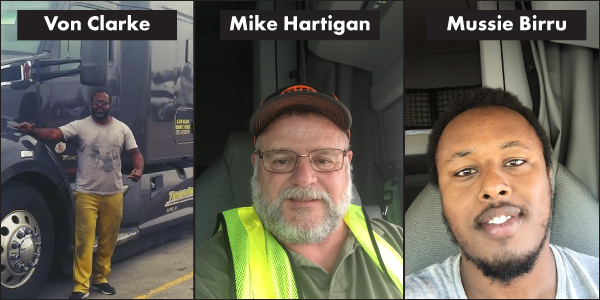 Shout out to Mike Hartigan for being March’s Regional Driver of the Month. He is truly an asset to TransAm and his regional team. “Mike is extremely reliable as a driver. He not only has an overall positive attitude but he goes out of his way to help other drivers in any way he can,” Penny Lerro, Regional Fleet Manager said. Thank you Mike, for being a leader and an inspiration to everyone around you. Your optimistic outlook and willingness to help others makes you a one-of-a-kind driver who we are proud to have on the TransAm team! TransAm is thrilled to share our Independent Contractor of the Month: Mussie Birru. Mussie stepped up to the plate and was more than willing to guide and answer questions for a new driver. Thank you Mussie, for taking the time to offer encouragement and help a fellow driver. 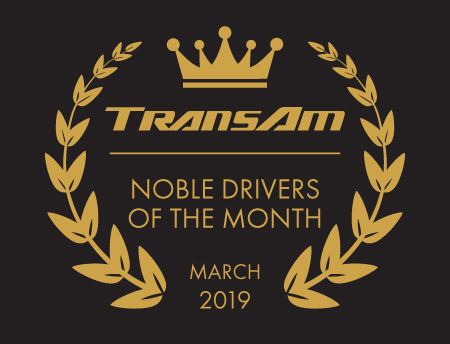 We are grateful to have you contract your business with TransAm and continue to be a leader in the driver community! Let’s hear it for our Company Driver of the Month: Jon Gillepsie! Jon is a true example of what it means to be a leader to others, especially new drivers entering the industry. When Jon encountered a new TransAm driver who had some questions, Jon didn’t hesitate to help his fellow driver. It is drivers like Jon that inspire others to step up and guide our next generation of drivers to succeed. Thank you, Jon, for being an awesome teammate and an example for others!